HCM City (VNS/VNA) –Vietnam now exports 1 billion pairs of shoes per year and the nation is the second largest leather and footwear exporter in the world, according to experts at the Vietnam Footwear Summit 2019 held in HCM City on March 20. 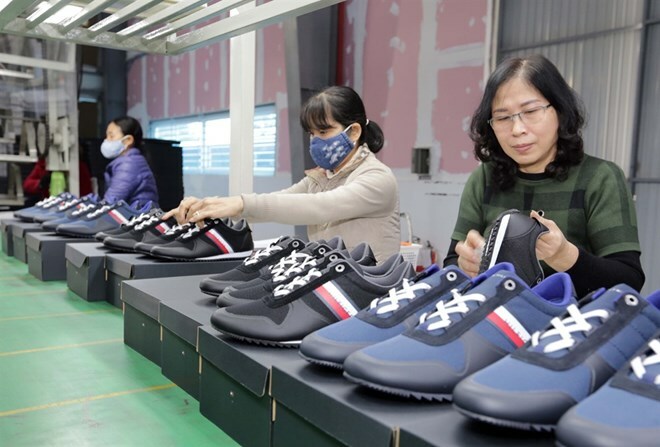 Diep Thanh Kiet, Vice Chairman of the Vietnam Leather and Footwear Association (Lefaso), said Vietnam follows just China in leather and footwear exports with more than 1 billion pairs of shoes each year. From now until 2025, the country’s footwear industry is still competing well in terms of labour costs, per capita income, economic policies and export markets, he said. China has continued its policy on reducing investment incentives in the textiles, garment and footwear sectors to focus on high-tech industries so contracts for processing footwear and bags would continue moving from China to Vietnam, taking advantage of opportunities from the Comprehensive and Progressive Agreement for Trans-Pacific Partnership (CPTPP), Kiet said. According to experts at the forum, the global demand for leather and footwear in recent years has reached about 23 billion pairs. Shoes are mainly produced in 10 countries, including China, India, Vietnam and Indonesia. The experts said Vietnam’s leather and footwear industry needs to expand its export markets. The industry must use new technologies and environmentally-friendly materials to increase market shares in fastidious markets. Therefore, Vietnamese enterprises need to understand the Government’s support policy and other advantages such as 55 percent of the population in working age, to find opportunities on expanding production of export products. Vietnam has signed many free trade agreements (FTAs) or bilateral and multilateral economic agreements with many CPTPP member countries such as Japan, Malaysia, Singapore and Brunei. Meanwhile, the localisation rate in the industry has increased rapidly, reaching 50 percent. With this rate, rules of origin under commitments of the agreements are not a big obstacle to domestic footwear enterprises in enjoying preferential tariffs, according to Lefaso. The local footwear industry’s export revenue to CPTPP member markets is expected to increase by 10-15 percent in 2019 because of high reduction in tariffs and other regulations in the CPTPP that became effective in Vietnam earlier this year, Phan Thi Thanh Xuan, Vice Chairwoman and General Secretary of Lefaso, said on the sidelines of the forum. The CPTPP will also help Vietnam attract more foreign direct investment (FDI) to the footwear sector to build a region of producing auxiliary materials in the country and to support domestic enterprises in gradually joining the global supply chain. According to Lefaso, the leather and footwear industry will increase the localisation rate to 60 percent from 50 percent at present. Meanwhile, leather and footwear exports will rank fourth and export bags will stand 10th among the 10 key export categories of the economy. The total export value of the leather and footwear industry in 2018 reached nearly 20 billion USD, up 8.3 percent year on year.